Root canals are performed when the nerves in the teeth have been impacted by tooth decay or bacterial infections. This procedure is done to relieve the pain associated with tooth decay and to help save the tooth. During a root canal, the decay, bacteria and the nerves are removed. 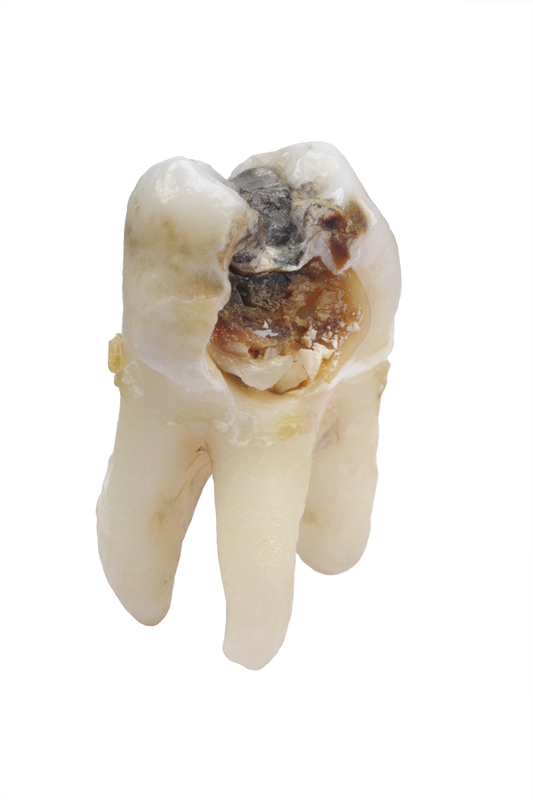 Once this is removed, the tooth is then filled with medicated material to help restore the tooth. There are numerous symptoms that can help your dentist determine if root canal therapy is right for you. Oftentimes, those who need a root canal will have an abscess. An abscess is a swollen area of the gum that is filled with pus and bacteria. With an abscess, you may experience pain, fever, temperature sensitivity and inflamed gums. The dentist will then use a dental drill to remove the damaged pulp, bacteria and expose the nerve. The dentist will then use a series of dental files to scrape the root canal to ensure all traces of infection are removed. The area is then flushed with water or a special solution to thoroughly cleanse the area. Finally, the tooth is sealed to help keep food and contaminants out of the tooth. After your root canal is completed, your dentist will give you care instructions to help you avoid the need for additional root canals. He will instruct you on how to correctly floss and brush your teeth. Your dentist may also recommend a fluoride treatment to help strengthen your teeth. Finally, the dentist will stress the importance of regular dental checkups.